Tuesday in this week is the day when your luck can bring you, where you never think before but only if you have bought the national saving 15000 prize bond this time. The Prize Bond Rs. 15,000 Draw result is going to be announce on 01 October, 2015 (1-10-2015) at Muzafarabad city. This is draw number 64 of the territory. 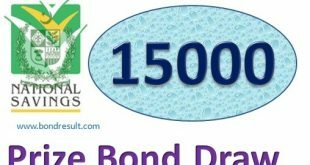 The prize bond 15000 draw will be held in morning while and first and second prize number will be out on Koh Noor TV at 8 am but full list will be uploaded at 4:30 pm. 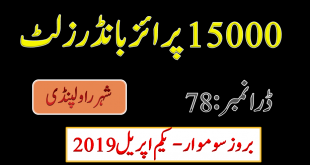 You can download full list of National Savings Prize Bond Draw 15000 Result List at Muzafarabad Pakistan on 1st of Oct 2015 Tuesday. You win any one but your life can be change in moments. These are big prizes for the folks having no money yet. Full list of Prize Bond Rs. 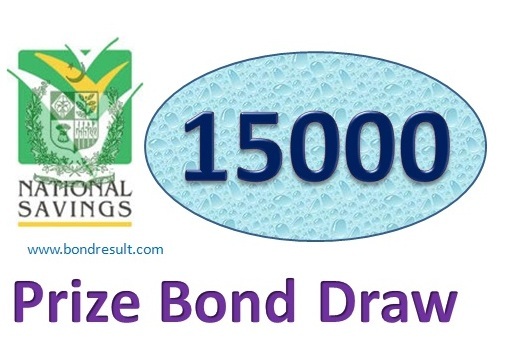 15000 Draw result on 01 October, 2015 – Muzafarabad at bond result can be get any time after result. This list can be printed online and you can find your result from browser also by pressing Ctrl+F to find your number. We wish you best of luck for winning your big money prize. For all prize bond draw keep visiting bondresult.com.